Dubious of the quantities in this recipe (1 tsp sun-dried tomato?) but scaled up and was an easy tasty allergy friendly store cupboard sauce. Unfortunately flavours were too strong for toddler but I would use this again for adults or older children. This was delicious. Loved the mix and match style. Left mushrooms out for DH and added marinated tofu. Went easy on buckwheat and left out mustard sauce and goats cheese for DD. Not too difficult, everyone enjoyed. Unexpected hit with toddler who liked that it wasn't mixed together? Buckwheat takes 30 mins. Used 150g uncooked. A no-fail formula to flavor any salad or grain bowl from the book. In this, the third cookbook from king of salads, David Bez, there are 130 supper bowls for any season and every appetite. The options are endless and vary from light, raw and fresh, to hot, filling and wholesome. Every recipe in this stunning book is ultra simple and can be adapted to suit a different diet, such as vegan or vegetarian. The recipes are divided into two sections - soup bowls and filling grain bowls - and include Barley, Red Onion, Sun-Dried Tomato and Paprika Cream; Blue Cheese, Buckwheat and Aubergine in Beetroot Broth; and Tuna, Black Noodles, Avocado and Seaweed. 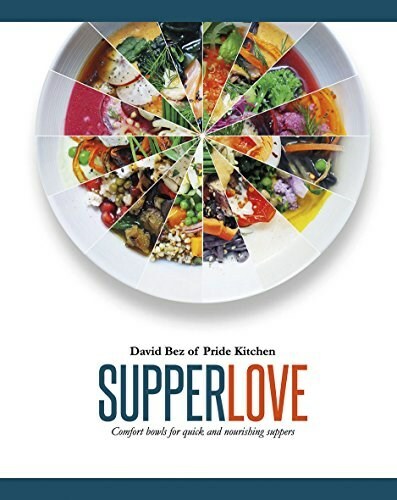 As well as explaining the formula for the ideal supper bowl, David also provides advice and basic recipes for fermenting, dressings and sauces, broths and types of hummus. You'll find in these pages all the inspiration you need to fall in love with easy, effortlessly nourishing bowl food, for tasty, comforting suppers.